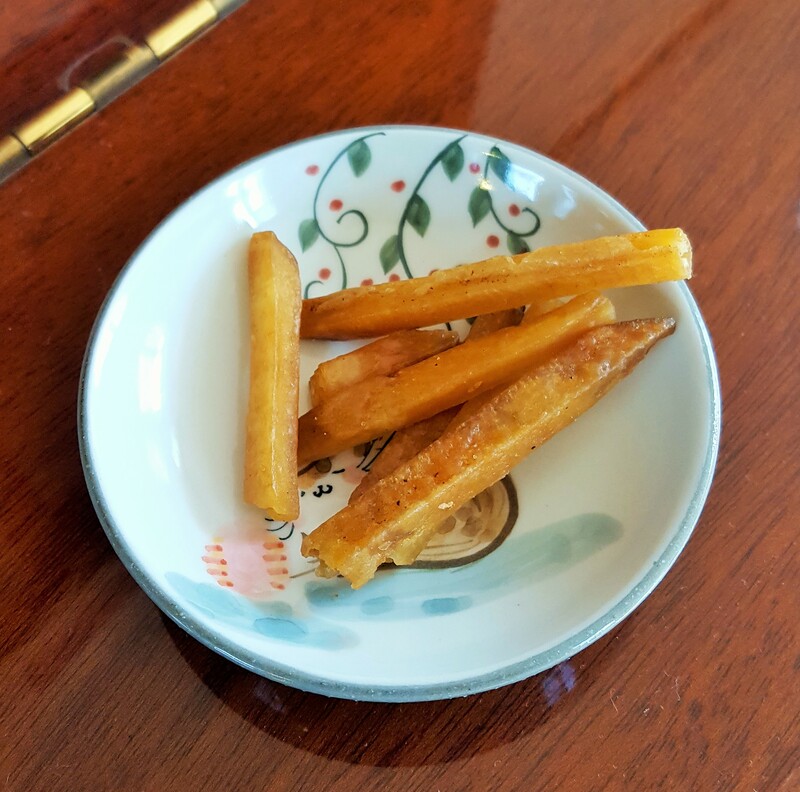 Here is 芋ケンピ= deep-fried and sugar-coated sweet potato. Mei-Shun enjoys it by various makers, continues to compare one with another. This time they are processed in Kumamoto, where one of her favorite mascots Kuma-mon comes from. Not so sweet, makes her try more. What a temptation, when she would like to put off 2 bags of sugar within this year! Sweet cat gives Ghirardelli-mini chocolate calories.